Australia will decide on whether they will compete in the Junior Eurovision Song Contest 2017 in the second half of this year after Eurovision 2017. SBS will decide on whether Australia will compete in the 15th edition of the Junior Eurovision Song Contest in Tbilisi, Georgia in the second half of this year. 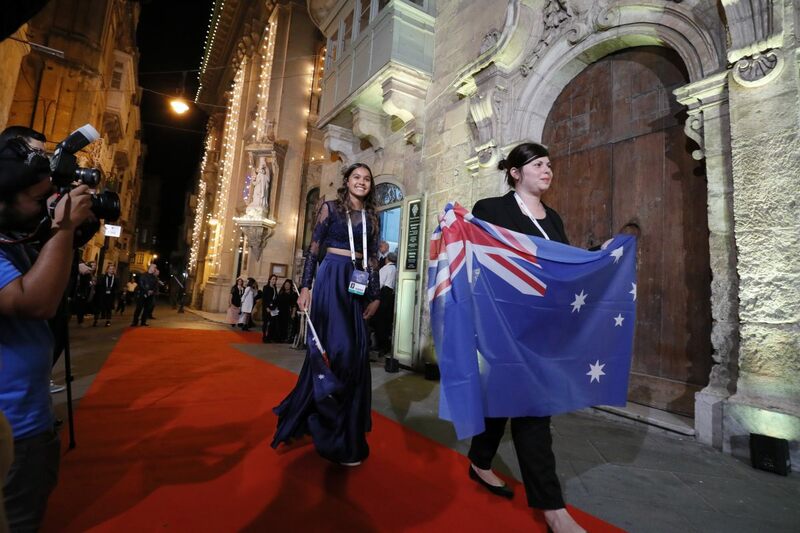 Australia is currently one of ten countries that participated in last years contest in Malta who are yet to confirm publicly as to whether they will be competing in this years event. Australia has participated twice in the Junior Eurovision Song Contest having debuted two years ago when the contest was held in Sofia, Bulgaria. Bella Paige was selected to represent Australia on their debut with the song “My Girls”, she finished 8th with a total of 64 points, the country’s highest marks came in the form of 10 points from Malta. Australia competed again in 2016 represented by Alexa Curtis with “We Are” she finished 5th overall with 202 points. this included 12 points from the Adult Jury in Georgia as well as 12 points from the Kids Jury in Ireland and the Netherlands. Australia is the most recent of the thirty-seven countries to have participated in the Junior Eurovision Song Contest since it was first held in 2003. Australia alongside Ireland are the most recent countries to have joined the contest. The 15th edition of the Junior Eurovision Song Contest will be held on November 26 at the Tbilisi Sports Palace. The Junior Eurovision Song Contest is travelling to Georgia for the first time, following the victory of Mariam Mamadashvili in Malta last November. Hopefully Australia won’t participate in this year’s Junior Eurovision. I hope that Australia may not compete in Georgia. The distance between Australia and Georgia may be a problem. I’m not saying that I necessarily want Australia to withdraw, but I understand why other people do.